Hyundai is known around the world for value compact cars although they have made several successful 4WD vehicles. The Santa Fe, Vera Cruz and Tucson are all the models that we have a Hyundai transfer case for in stock. When you need a replacement or a swapped case assembly, you have the choice of buying one from an auction website or buying one from a respected dealer. The majority of our customers prefer to deal with us for a variety of reasons. We ship free. We have high quality. We warranty everything that is sold. 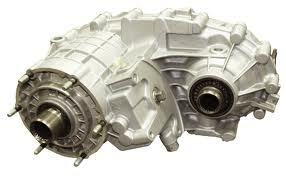 Those are just a few of the reasons that www.transfercasesforsale.com is a better choice for transfer cases. A Hyundai is well built and so are the parts that go inside of it. These are not merely vehicles made with the cheapest parts for a cheap price. Everything from a 5 or 6-speed to a custom 6-cylinder engine are found on most of the 4WD vehicles that Hyundai produces. You don’t have to worry when buying a used transfer case from our website. It will fit. We guarantee it. We don’t sell you the wrong part or give you the wrong part number. We cross reference everything using the data that we have supplied to us by Hyundai. Some of the transfer cases are AWD or part-time 4-wheel drive. The exact vehicle that you have will let you know which one that you need for replacement. Hyundai is not like some manufacturers that use many different transfer cases for the same vehicles. Keeping things simple is easy to keep track of the entire assembly. Problems that usually lock up a transfer case almost always happen because of leaking fluids. When fluid leaks out, the parts can become dry and brittle. The constant grinding of the gears, couplers and bearings is what leads to irregular shifting. We know what happens to transfer cases because we sell rebuilt ones as well. We get to take them apart and totally redo them inside of our shop. When it comes to making your selection, it is important that a seller develop a bond with you. There is only one way that you will know a transfer case is correct and that is when you test it. We remove the doubts and the stress of buying online because we spin test the gears. We know if there are gear issues or something not working correctly. We select the best of the best and always have lower mileage case assemblies for sale. Since you cannot touch one of the Hyundai drive train parts before you buy, you can feel assured because we describe what we sell very accurately. Right on this website is how our price quotes are found. It takes just a few seconds to save a ton of cash. Complete our quote form and instantly your price is given out to you. Since we ship free, you don’t have to worry about how much it will cost to get a transfer case to your door. Feel free to call (888)-508-7153 and we’ll help you over the phone. We want you to have a great buying experience and find what you need fast.